Disinfection is an effective treatment process that can safely remove a variety of waterborne pathogens from a water supply. There are many types of pathogens that can get into a water supply. Each cause different problems, but there are several effective methods for their removal. Pathogens are anything that can cause disease. Water pathogens are usually either bacterial or viral. According to the Centers for Disease Control and Prevention (CDC), dangerous bacteria that are sometimes found in the water supply include E. coli, shigella and salmonella. Hepatitis A and the norovirus are two types of viruses that can contaminate municipal water systems. Most of the bacteria and viruses that are found in the water supply are not life-threatening for otherwise healthy individuals. Many can, however, cause temporary illnesses, as well as chronic health conditions. Short-term illness caused by bacteria and viruses is often characterized by nausea, diarrhea, vomiting and fever. A few gastrointestinal illnesses can be fatal, especially for very young children, the elderly and those with compromised immune systems. Neurological disorders and reproductive problems can also result from pathogens found in the water supply. 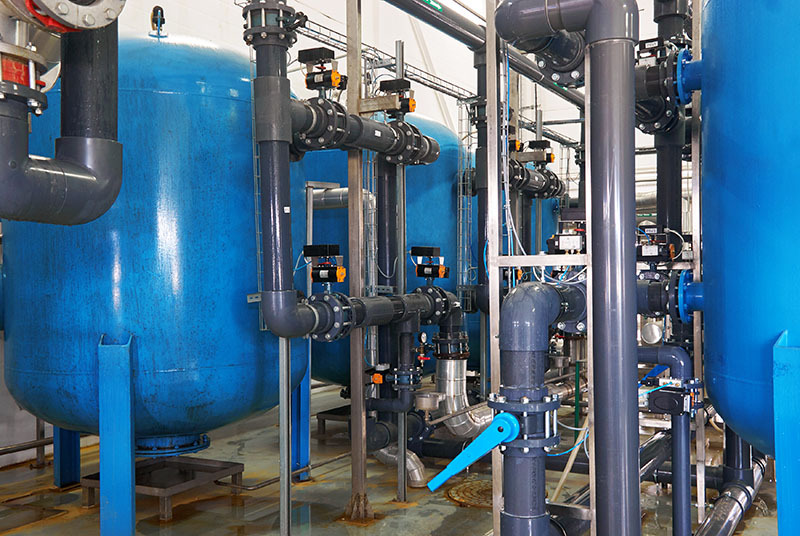 Chlorine Dioxide Control and Assistance — According to the Environmental Protection Agency (EPA), chlorine is the disinfectant most often used to inactivate waterborne pathogens. Chlorine dioxide is a specific type of gas that can also be used to treat municipal water supplies. Sodium Hypochlorite (Bleach) — This is a disinfectant that has proven to be effective in purifying groundwater and eliminating odors. It is often used because microorganisms can’t build up a resistance to it. Liquid Ammonium Sulfate (LAS) — Chem Trade states that liquid ammonium sulfate is a non-toxic, stable liquid that can be used effectively for the treatment of drinking water. AOS offers several disinfection wastewater treatment solutions that can be used to purify and maintain water at high standards. We offer a range of groundwater treatment services and solutions to municipalities, including independent water analysis, chemical program design, start-up and training, and system-wide or single-point performance tracking. Contact AOS Treatment Solutions for any questions regarding groundwater disinfection solutions.